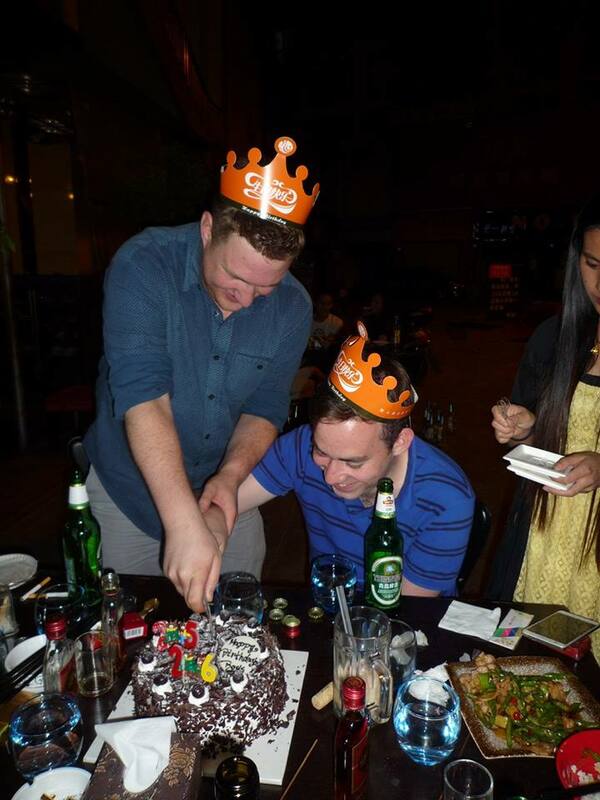 My name’s Alasdair, I’m from Scotland and I taught English in Chengdu, a large city in South West China. This is my TEFL experience. My School was Huayang number one middle school. I taught 2 grades of middle school children, each grade had 8 classes who I would teach 40 minutes a week. So I taught 16 classes a week, plus an English club per grade once a week. My classes were split up by ability. The most challenging times being in China were without a doubt when teaching some of my lower level classes. Before I’d arrived in China, the boss of my agency, Haida H.R, and the head of English at my school had fallen out and were no longer on speaking terms. This caused some issues when trying to get any help with my classes. My agency, Haida, had also told my school that I had teaching experience when I never had. 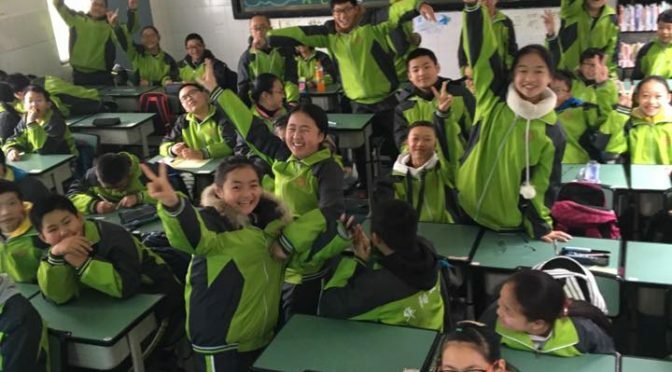 So I was thrown in on the first day with no Chinese assistant, no grasp of the Chinese language and 50 kids that didn’t know much more English than ‘do you have a girlfriend?’. The higher level classes were always a pleasure to teach, but those first few months had some very frustrating days teaching. The fall out between my school and my agency prior to my arrival was pretty much the only downside of my time in China. On the plus side this challenge was character building and something I managed to overcome. I would advise all new teachers coming to China to realise that although a lot of us do come to China to enjoy ourselves and experience a new culture. It is hugely beneficial having a plan of how to teach. By that I mean more than just a days teaching plan. This will help you immensely when it comes to enjoying however long you spend in China. There are few things that kill your weekend more than worrying about a bad weeks teaching. 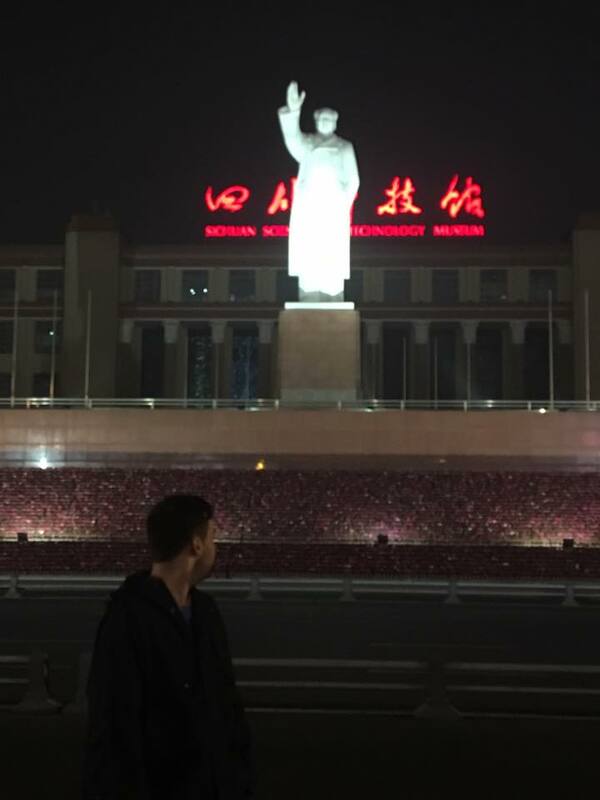 Before I went to China I had some expectations for what China would be like, but arriving in Chengdu after a week spent training in Hangzhou in the East of the country completely blew me away. I arrived on the Tuesday, started teaching on the Wednesday and by the Saturday I was completely at home. As a Scot there are three things I look for when I visit new places, friendly people, good food and a drinking culture. Chengdu has all three. Known as the friendliest city in China, it certainly lives up to it’s reputation. 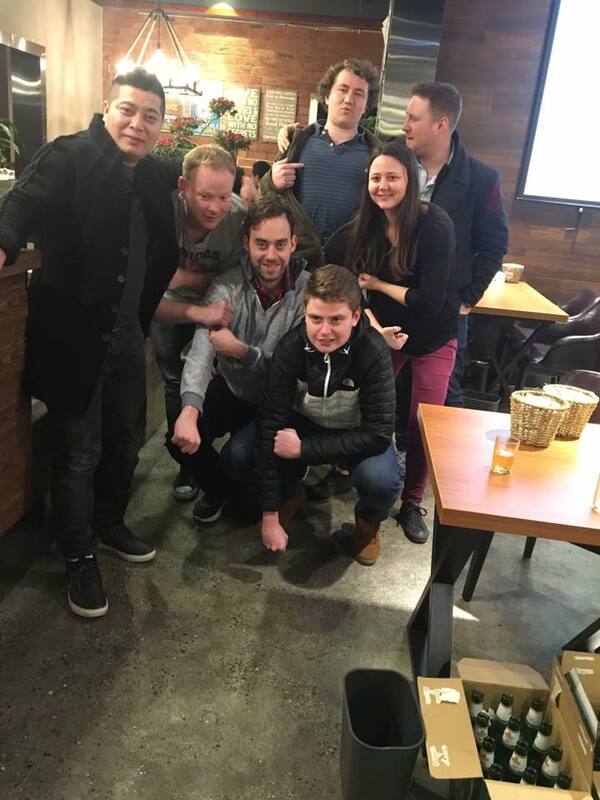 I was lucky that my agency introduced me to the other foreigners living in my suburb on my first weekend, who had already settled in and had friendships with the locals that I fitted in to straight away. The owner of a restaurant we would eat and drink in every weekend who would regularly not charge us for our meals, take us to KTV and take us to his hometown on the outskirts of Chengdu to show us off to his school friends. The girls who we spoke to on one of my first nights in Chengdu took us to see the pandas that Chengdu is famous for, the hundreds of people that came over to ‘gan bei’ the foreigners in their town. The people in Chengdu are amazing. Sichuan food is known for being spicy and that is right up my street. Food and eating in China is not just about nourishment, it’s about enjoyment and socialising. A meal is an occasion to celebrate friendships and the Sichuan Hot Pot is a great example of this. Sitting around a hot broth and cooking your own meats and vegetables in it while getting more and more drunk on baijiu is a great experience and one of many things I miss about China. Sichuan Barbecue remains my favourite food in China though. 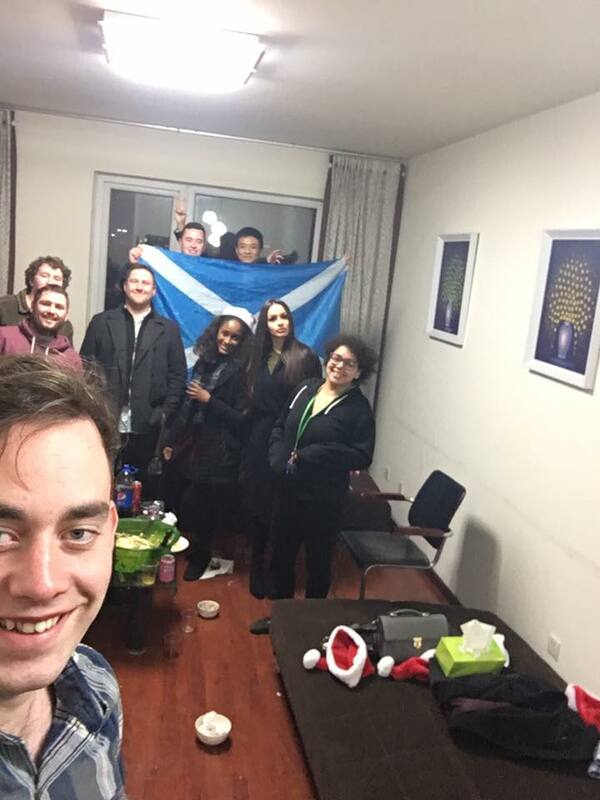 It’s nearly two years since I left but I keep in contact with so many people from China, including a girl from South Africa and a boy from Canada who I met on my first weekend there and a boy from England who I first met on the night England beat Scotland at Wembley. If we can get through that we can get through anything. I’ve already been back over to visit China as a tourist and not as a resident and I have plans to go back again early next year. I had so many, but standouts include having a joint birthday celebration with Ryan, seen in the picture above. We were given free food and alcohol all night by the aforementioned restaurant owner. It was great when my sister and her boyfriend visited me as she got to see how well I was getting on. This helped put my sisters mind at ease. Another great moment was when three of my friends from Scotland came over at Christmas and I met them in Beijing and had my first taste of proper Beijing Duck. I still have dreams about that duck. I think my favourite moment was when my parents came over and were blown away by the hospitality of the Chengdu people as much as I was. I’d bored everyone to tears about what a great place it was, so it was great that so many people managed to come over and see so for themselves. On coming home I found I was in a much better position for getting a job I wanted. I’d found it hard in interviews before to answer the questions that start – “tell me something you have done that demonstrates…”. However, after coming back from China I had so much to say in interviews, and got a graduate position at one of the big 4 accountancy firms from my first interview after coming back. I think it is a great thing to have on your CV and a great opportunity to experience a brilliant culture while also helping your career.